LOUISVILLE, KY (WAVE) - WAVE 3 has uncovered disturbing new information in the murder of a Pleasure Ridge Park woman. On the same day 68-year old William "Gerry" Seidl was arraigned in his wife's murder, WAVE 3 obtained new court documents and courtroom video. Both show that a judge denied a domestic violence order for the victim even though she had been granted one by another judge in the past who felt her life was in danger. (WHAS11) - New details are starting to trickle in about the estranged couple that neighbors called friendly and every day folks. But police reports indicate something different. WHAS11’s look at police runs to their home reflects a couple that despite outward appearances---there was conflict. That conflict came to a deadly conclusion Monday. A wife of many years---69-year-old Dorene Seidl—found shot to death inside her home and her husband, 68-year-old William Seidlis charged with murder after holding off police for four hours before surrendering. The SWAT TEAM feared she was dead as the call went out for them to roll. The next challenge says SWAT was trying to keep the man from ending his own life. They brought in their hostage negotiating team, which actually entered the house to talk. In the neighborhood it all seemed so bizarre. To many this couple seemed made for each other. But WHAS11’s review of police runs shows that between October of last year and August 7th of this year, there were a total of four police runs to the Grandfield Way address. No arrests were made on those runs. Where in the world do they find these judges?!?!? Would it have killed him to grant the damn order?? No but his refusal to do so killed her! It is a piece of paper, and we all know that a piece of paper does not stop bullets but come on...was he trying to save money by saving ink and paper? Oh, no sorry he said there wasn't enough evidence...well hopefully he isn't involved with trying the man that killed her...the dead body may not be enough evidence for him to prove a murder was committed! There really does need to be more checks on judges. I like the law that was recently passed in CA that the judge has to give a reason for denying a temporary restraining order. I was very happy to read that, and blind, sheltered me thought WOW, way to go, we are finally getting somewhere!! Well, I guess I was wrong...this judge DID give the reason he denied her restraining order...in sufficient evidence. There have been several cases where this has happened this year that I have seen, I am sure it has happened before and I am also sure that I have not seen all of them. Something needs to be done to make these judges accountable for their actions. Can't they charge him as an accomplish to murder or something?? I know that sounds crazy, and yes I am a bit worked up over this. And...WHY did it take HOURS for the police to get into the house when they were called out there by someone reporting shooting?? HHHMMM....I'm just speechless with that one. Read the story that I am ranting about...LEX18 - Lexington, KY - News, Weather, Sports - Louisville Woman Found Dead ...please leave me your thoughts and feelings on this! I am interested in knowing how others feel about this. SACRAMENTO – Governor Schwarzenegger recently signed Assemblyman Jose Solorio's (D-Anaheim) Assembly Bill 2553. The new law requires judges to explain their reasons if denying temporary retraining orders in domestic violence cases. The bill was signed just before the California budget impasse prompted the Governor's decree to not sign any legislation until the budget is resolved. The new law was a response to the practice in courtrooms of "rubber stamping" denials of temporary restraining orders filed by victims of domestic violence. "Without a written explanation of a denial, a judge's sound reasoning is subject to speculation," Solorio said. "Victims of domestic violence need to know why their temporary restraining orders are denied." Solorio spearheaded the bill at the suggestion of the California Judicial Council. Its report entitled "Recommended Guidelines and Practices for improving the Administration of Justice in Domestic Violence Cases" cited instances where victims, not knowing why they were denied a temporary retraining order, were unsure on how to proceed to secure their safety. The new law also orders the judge, at the victim's request, to schedule a hearing within 20 days on whether to forbid the abusive person contact with the victim for an extended period. The Judicial Council is the policymaking body of the California courts, the largest court system in the nation. Temporary restraining orders are requested by a victim through filing an affidavit. They must provide cause for immediate protection by demonstrating "reasonable proof of a past act" of domestic violence. It is requested simultaneously with a request for a hearing for a permanent or long-term restraining order and expires within 20 days of its issuance. Le Chrysalis is a circular provided by United Angels Against Domestic Violence (UAADV). The purpose of this circular is to provide information, resources, updates, empowerment and more to DV victims and survivors, as well as for advocates to share with those they are working with. Le Chrysalis will be published every other month in the middle of the month. You will notice that several of the articles do not include names or give credit to the writer, this is to protect the identities of those that cannot speak out in their own yet. Le Chrysalis provides the means to let the silent be heard, empowering victims, survivors and NCM's across the nation. UAADV was formed by Tracy Hommel to bring everyone together to have one voice against DV and issues pertaining to DV; such as family violence, sexual assault and the struggles of NCM's. UAADV is for victims, survivors, and NCM's to have a place to go for support, to give support, become empowered and get the chance to heal and move forward. UAADV has many different project that are already up and running as well as new projects that are being organized as need arises. UAADV is bringing victims, survivors, NCM's, advocates, organizations and communities together in a way that never before has been done, and therefore our methods may seem a little strange and new to you at first. UAADV is the parent organization that hosts several Yahoo-based peer groups, individual state blogs for each state, and runs a fully functioning main website to keep everything in one place. The main website is at uaadv.org. Each issue of Le Chrysalis will highlight what is new within UAADV and UAADV peer-support groups, as well as what is going on around the country. Since UAADV does have members in other countries there on occasion will be articles of interest internationally. The name Le Chrysalis was decided upon to symbolize the stages that an abuse victim goes through in transforming into a survivor. The healing period in between is just like the cocoon that the caterpillar remains in while making the transformation into a beautiful butterfly. Each victim has it in them to emerge from abuse an empowered survivor, they just need to know the potential is there and that they are not alone. Le Chrysalis brings the message to them that they can survive and then thrive! With this being the first issue of Le Chrysalis we are going to take this opportunity to explain what blogs, groups and projects fall under UAADV. In this section you will find in coming issues what is new within the organization as a whole. Abused Apply Here (AAH) – currently has 132 members and has been an active group since March 2004. This group is for DV victims and survivors to talk with others that have been through or are going through DV; showing them that they are not alone and that they can get out and makes it. Advocates are welcome in this group to help when resources and other types of information are needed. Update: 1 member is now volunteering at her local shelter; another member is now going to college with a major in criminal justice; and 2 members have gotten out of their abusive relationships; and 1 member is working her way through a transitional housing program. We are proud of each and every one of them! We have gotten quite a few new victims that have come in for support in their journey towards a new life of freedom, as well as new Survivors that have joined to give & gain support. Updates: Three moms from our group have gotten to spend time with their children for summer visitation for the first time in a long time this year and one mom has won custody of her children back! Another Mom has moved back to the state her children are in, and is planning to start fighting harder to win time with her children back. 1 Mom has gotten to spend time with her daughter outside of safe visit which lasted 6 years. Another Mom is now talking to her children via phone that she felt she'd lost years ago. Angels Outreach Ministries (AOM) – currently has 24 members and has been an active group since February 2006. AOM is a Christian based peer group for those that have lost their faith as a result of the abuses they have suffered. This group also welcomes those that are strong in their faith in Jesus and God to assist others that are struggling with their faith. UAADV Faith Outreach (FO) – currently has 13 members and has been an active group since March 2006. FO is a peer group for those that have lost their faith in whatever they had faith in as a result of abuses suffered. FO is not focused on one particular faith path and the members are very diverse in their religious beliefs. Wings of Hope - Crafty Angels (WOHCA) – currently has 39 members and has been an active group since September 2005. WOHCA is the Crafts & Donations Branch of UAADV. WOCHA is open to anyone that wants to help DV victims and survivors through crafts or donations. The discussion group on Yahoo is augmented by the WOHCA Blog. Update: The current project is making totes for shelters for Christmas presents. Volunteers are making totes that are crocheted, knitted, quilted, etc. These totes will be gifted to women and children in DV Shelters within the member’s local areas. Totes will be filled with items that shelter residents need or Christmas presents at the members discretion. If you would like more information, or would like to contribute to this project, please contact Mary Morgan at UAADV.National@gmail.com. Graphics for DV Awareness – currently has 15 members and has been an active group since April 2008. 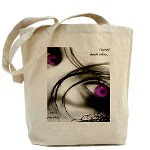 This group is for raising awareness of domestic violence through the making and sharing of graphics. Update: We want to take this chance to thank every Survivor that has made graphics for DV Awareness, and to also thank those that are taking these graphics and sharing them. UAADV Advocates (Advocates) – currently has 39 members and has been an active group since April 2005. This peer group is for those that are ready to make a difference in the field of DV Advocacy; for the sharing of ideas as well as supporting one another through being an advocate. This group is open to all advocates no matter where a person is working or volunteering. Having a group of peers to bounce ideas off and to turn to when the everyday horrors get to be too draining is very important in an advocates' life. My childhood was normal. I had two normal kid sisters, a normal mom, a normal dad, and even a normal dog. We lived in a normal brown house, on a normal American street, in a normal sized town. The beatings were also normal. I wasn’t hit, but it might as well have been me. The sob filled screams of my mother echoed throughout our normal house on a somewhat regular basis. They terrified my normal sisters, my normal dog, and my normal adolescent life. Afterwards we would usually go to a hotel. The magnificent heated pools and the colorful brightly lit game rooms became a haven for me to escape my normal life. My dad would normally cry and apologize, vowing it would never happen again. He normally pointed to how much he had changed. After a few days my mom would give in, forgive him, and we would go back to our normal house, until the next time. This was the routine for my normal life. The routine would continue on, until one night, the normalcy in my life came to a sudden bloody end. They were fireworks in my dream. The “POP, POP, POP” took me back to humid Forth of July evenings when my family postponed our normal lives in order to smell the salt from the ocean mix with the burnt gunpowder of expended fireworks. It was the scream woke me up and brought me back to that cold March night. It wasn’t one of my moms normal sob filled screams. The sound that echoed through my house that night was more guttural, as if her lungs had exploded and the remaining air overwhelmed her vocal cords before it left her mouth. This instinctive roar woke me up and pulled me into the room where the sound had originated. The first thing I noticed when I arrived was that our normally white walls had been clumsily coated with a dark red hue of fresh paint, though I couldn’t smell the distinctive odor that usually accompanied such a job. What I could smell was the gunpowder from my dream. It was heavy in the air and I would soon find its source. As my eyes scanned the dark room the continued screams of my mother eventually drew my attention to a corner where my parents were locked in a bloody life and death struggle. The struggle was not unusual but normally there was no gun, and normally there was not as much blood. The whole picture was seemingly out of place in what was up until then my relatively normal life. The spot in the now chaotic room, where my was dad holding the now jammed gun and my mom was trying free her from his crazed choking grip, seemed to move closer and closer until I was watching the spectacle from only a few feet away. The repeated screams of help from my mother and the continued promises of death being uttered by my father ignited my own fuse and soon propelled each ounce of my 11 year old weight into the deadly fray. The fight to save my mothers life seemed like it was over in a matter of seconds. Retrieving the gun was easy enough, but the freeing of my mother took all that I had and ended with me and my father crashing to the wet floor. Everything after that is now a blur. The details of my father’s flight into the frozen darkness, his subsequent capture a few weeks later, my mothers miraculous salvation, and recovery; were all forgotten in the span of time between then and now. I thought I was strong enough to put it all behind me but it has always and probably will always haunt me. Not the event itself but the presentation of my own and my mothers own mortality in such a vivid and traumatic way. The panic attacks usually occurred when I was thinking about death, which was quite often, but the medication seemed to work after a while. Though I did forget some of the details of that night, the things that will never be forgotten are those that ended my normal life and brought about a new but somewhat scary life. No longer would I wake up to the normal screams of my mother, no longer would me and my sister be frightened, no longer would we stay at hotels and swim in the warm pools or play in the fascinating game rooms, and no longer would my father be in my life. I can’t say that I was sad to see him go away; I have heard stories of people who hated their fathers but cried at their funerals while at the same time loved their mother but couldn’t cry at their funeral. I am constantly afraid that this will happen to me when the time comes but I remind myself that I had cried enough for both back when my life was normal and the tears that I will cry in the future will be for me and me alone. Adam Chase Keith..C.C.U. Conway S.C.
Copyrighted, may not distribute without prior permission. An important thing to know is that domestic violence doesn't just happen to married couples; it can happen in any relationship. If you are being treated badly, talked down to, questioned on where you are all the time, forced to sacrifice your friends to spend time with him, or physically hurt in any way, you may be in a domestic violence relationship. If you believe you are in a dv relationship then you should talk to an adult you trust or call a hotline. The National Domestic Violence Hotline is 1-800-799-7233. It is ok to ask for help. Most of all remember you are not alone and it is not your fault. For more information or if you need to just talk, you can email me, Laura, at UAADV.Teen@gmail.com. The teen’s section of UAADV is just getting underway. We currently have the UAADV Teen Blog that is just getting going. We hope to start educating teens before they get into abusive relationships by helping them learn the signs and also making sure they know what is not ok in a relationship. We also hope to give those who may already be in such relationships the support they need. Our goal is to make sure teens are aware of what a healthy relationship should be. In the future we plan to get a website or forum up where teens can go to get information and look for support. After you make your list I want you to try to do a few things from that list each and every day for the next week. Some may feel like keeping up with their list in a journal and writing your feelings each day about what you did and how you felt. Others may prefer to just sit quietly each evening or morning and think of your list and what you have done that has made you feel better. Tailored Life Coaching is a holistic and spiritual ministry for Domestic Violence and Sexual Assault Survivors. TLC caters to those on various different personal and spiritual paths and in various degrees in the healing process. TLC provides DV & SA Survivors access to life coaching services, in both personal and group settings, and both on-line and in person. Sessions are tailored to meet the needs of the person or group, provide materials and guidance in a self-help manner, and promote healing and self-growth in all aspects of a survivors life. Life coaching is not counseling or therapy; or even advice. Counseling and therapy both look into the past and try to diagnose a problem then fix it and giving advice is basically telling someone else what they should do, instead of letting them figure it out. But life coaching looks at the present and towards the future, by helping make goals that are attainable and then striving to reach those goals, with the help, encouragement and support of the coach. TLC was started by Mary Morgan, UAADV’s National Rep. Mary offers all of her services for free. For more information please visit the TLC website. Every month we will be featuring a Survivor Made DV Awareness Graphic. There can never be too many graphics that are geared towards awareness on the internet. Please feel free to share this graphic! Thank you Angela for sharing this graphic with us and allowing us to share it. We Love the message! Domestic Violence has been part of history as long as man has been on the earth. Sadly it has been one of those areas which were never discussed in families, in police work, or in the judicial system. When a man chose to abuse his wife and children, people turned a blind eye and ear to the abuse. The feeling was it was a family thing and no one wanted to become involved. In 1995-96 there was a survey of 16,500 in 50 states and the District of Columbia. The survey showed that 25% of women and 7.6% of men who had been abused were abused by someone they knew and trusted. That survey has probably tripled since that time. In 2003 30% of all female murders were committed by either a husband or a boyfriend. Husbands committed 13,000 violent crimes against women in the workplace. The Surgeon General has stated that domestic violence is the leading case of death in women ages 15-44 even more than any other cause of injury including, car accident, cancer or muggings. In 1994 women who were separated from their spouse were victimized by their spouses at 1 1/2 times the rate of divorced women. 40% of teenage girls between 14-17 have known other girls who were abused by a boyfriend. A child who lives in an abusive environment where the father is abusive will have the propensity to continue the cycle of behavior. The expense of domestic violence on a per year basis is $5 - $10 billion annually in court costs, hospital expenses, safe houses, police, absenteeism and non productivity in the work force. I am a survivor of domestic violence. I did not grow up in that type of environment. I was never exposed to that underside of human nature until I married the father of my children. The first time I was hit, I was not only shocked, I was numbed. Sure, I had as a child had fights with my brothers, and the boys in the neighborhood. That was different. We were children. But, I had never seen my mother or my father hit each other in anger. I had no idea that it would happen to me. The first time I was hit, I was eight and a half months pregnant with my second child. My son was three and a half. He was a witness to his father holding me down and beating me. There was absolutely nothing my son could do, he was a baby. Afterward, my then husband became contrite and very apologetic which is the standard method of operation for abusers. They always promise never to do it again. I believed him. Believing was my second mistake. Not leaving the first time was my first mistake. My marriage to my children's father was during a time when law enforcement hated to deal with a domestic call. There were no laws to protect the abused, no safe houses and no resources. Even if there had been I would not have called. It stayed in the family. It was never talked about. Even though the abusers swear they are sorry, and swear on all kinds of things, that being "My Mother's grave, on a Bible, etc,"; they really don't mean it. Sure they may mean it in the moment just to get the monkey off their back. But it is a lie. I believed the lie. That was my fourth mistake. I continued to live this lie to eighteen years. Why? You ask. An abuser is not stupid. They are not only physically abusive; they are mentally and emotionally abusive. They slowly and methodically tear down a person's psychic. They isolate them from family and friends; they control them by intimidation and fear. He always told me if I left he would kill all of us. He used Family and Children Services as on of his tools of intimidation. If I didn't walk a fine line he would call them and of course he never gave a name. After a while even the strongest will cave, just to keep from being beaten. However, this does not work either. The abuser will always find an excuse to be physical. I always knew when I was going to get hit. I knew it days before it happened. I could feel it in the air, and in his body language. It always felt like a runaway freight train. There was nothing I could do to stop it. His mood would change at the drop of a hat and no matter what I did or didn't do, I got beat and worse. My ex-husband's biggest excuse was “If you didn’t make me so mad, and Why do you always make me hit you?” This was his justification his reasoning his excuse. Abusers will not take the responsibility for their own actions and they refuse to believe they are the one with the problem. It is always someone else’s fault and someone else made them do it. When I was being abused, he also began to abuse my children. When my youngest daughter was six months old he got mad at me and kicked her across the room in her infant seat. He would call the other children stupid, and idiots. He constantly put them down or manipulated them to do his bidding. They were always told they would never amount to anything. My children had no self esteem for many years due to this behavior. The last day I saw him, I told him that his beating had better good because it would be his last. He almost killed me. I have permanent damage to my body that will never be the same, I have emotional scars that I still deal with and the worst part is my trust level of mankind is zero. I moved on with my life. I reinvented myself and learned it was not my fault. The abuse was entirely his fault. It was his crime his nemesis, his burden to bear. I did not cause him to hit me to beat me and to call me names. He made that choice and he gave me no choice. You may ask what about your children? My children suffered. They have had to learn that if one really loves another one does not abuse. They have had to learn that their father has faults and that he is an abuser. They have had to deal with their own dragons and leave the past in the past and become better because of it. The statistics I quoted at the beginning of this piece is only a small portion of the abuse which is epidemic in our world. I would stand to reason that those numbers should be at least three times higher. Domestic Violence is still the silent killer among women and children. It is still the unspoken crime in many homes and relationships. I was one of the lucky ones. I finally got out. We have to ask ourselves, is our future, which is our children worth turning a blind eye to domestic violence? Is the senseless murder of women and children worth hiding our head in the sand and pretending it doesn’t exist? My answer is I think not. The statistics must come down instead of going up. We must save our future. · The eldest of five children, Yvonne was born May 17, 1951 in Atlanta, Georgia. Raised in East Point, Georgia, she moved to Jackson County, Ga. until 2006 then moved to Port St. Lucie, Florida where she currently makes her home. · Licensed bounty hunter for the state of Georgia. · After a 34 year absence, returned to college in 2004. Graduated with honors in Criminal Justice with an Associate’s degree from Lanier Technical College in 2006. · Nominated for the prestigious GOAL award in 2005 which encompasses all of the technical colleges. This award is based not only on excellence in academics but also leadership, positive attitude and the willingness to excel in one’s major. · Since learning to write at the age of five, Yvonne has wanted to be an author. She wrote her first novel Stan’s Story beginning in 1974 and completed it in 2006. Publication seemed impossible as rejections grew to 10 years. Determined, she continued adding to the story until her dream came true in 2006. · Stan’s Story- the true story of her brother’s accomplishments, it has been compared to the style of Capote, and is currently being rewritten with new information for re-release. · Tangled Minds - a riveting story about a young girl’s bad decision and how it taints everyone’s life around her yet still manages to show that hope is always possible. This novel has been compared to the writing of Steinbeck and is currently being written as a screenplay. · Brilliant Insanity - to be released in July 2008. · Silent Scream - to be released in fall of 2008. “In this life we all have been helped by others to attain our dreams and goals. We cannot pay it back but what we can do is ‘pay it forward’. It is a simple concept. By helping three people, those three people help three more people and soon that becomes nine. Those nine people each help three more people and the giving continues. As you see, it is the power of three. Our giving comes back to us ten-fold. So one could say it is three to the power of ten. We all started out with nothing. By using this philosophy we can help one another and share the goodness of life’s wealth." · April 2008 at IRCC - “How to Sell One’s Self in the Business World” presentation to the student body. · April 2008 at The Palm Glades Girl Scouts Council Sixth Annual Luncheon as the featured keynote speaker - “Dreams, Goals and Aspirations” presentation. · May 2007 at Lanier Tech - “Succeeding in Life” Power Point presentation to the student body using the concepts of Stan’s Story. · May 2007 at Blackshear Baptist Church - Power Point presentation entitled “Acceptance of Self and Others”. · May 2007 at IRCC - “How to Reach Your Goals - It’s Never Too Late” presentation to adult women returning to school to become professionals in different fields. This video says it all!! Please watch it, read what it says, listen to the song, then absorb the meaning. This is no joke!! It happens all the time!! Feel free to share this far and wide. Too many fathers are missing-missing from too many lives and too many homes. Children who grow up without a father are five times more likely to live in poverty and are more likely to commit crime, drop out of school, abuse drugs and end up in prison. We need more fathers to realize that responsibility does not end at conception. We need them to understand that what makes a man is not the ability to have a child-it's the courage to raise one. We will support fathers by providing transitional training to get jobs, removing tax penalties on married families, and expanding maternity and paternity leave. We will reward those who are responsibly supporting their children by giving them a tax credit, crack down on men who avoid child support payments, and we will ensure that payments go directly to families instead of bureaucracies. These are excerpts from Obama's Platform, my question is will he stand behind these words once elected? I don't want to get into politics, but wouldn't it be nice to have an official actually keep their word and do something about Domestic Violence? Strengthen the laws that are already out there, make them national laws instead of state by state? Something needs to be done at the top, in hopes that then it will trickle down to all the states and something is finally done in a collaborative effort. I was very happy to read about VINE and what is being done with it. Victims of DV can finally keep track of what is going on with their abuser that's in jail! Too many times I've talked with Victims that have found out days later that their abuser was let out of prison early due to "Good Behavior". In one case, the abuser made a visit to the victim and beat her up, her never knowing that she was once again in danger. Too many Victims count on the system telling them that their abuser is getting out. Too many times they are NOT told. Included in this article is information about victims rights that too many Victims don't know they posses. "She also emphasized building relationships within the community, in particular the relationship between advocates, attorneys and law enforcement." This is something that I've said for a long time now, that Everyone involved with a victim MUST work together. In working together, the Victim wins! VINE is an online program that allows victims to keep track of offenders in county jail and state prisons. There is no charge to use the VINE website. It’s available 24/7 and is a way to empower and protect victims. County sheriff offices will notify victims (or an advocacy group associated with the victim) when an offender is released. However, the Department of Corrections are not required to notify victims. So the VINE system is an excellent way for victims to keep track of the offender. You can also register for notification. VINE can be found online at www.vinelink.com or by calling -1-877-MN-4-VINE (877-664-8463).